Donald works tirelessly to teach others the concepts and ideas that have made him successful. Through his books and seminars he teaches and encourages people to look at business and life with a sense of empowerment and of endless possibilities. I don’t consider myself strictly a business owner; I am an entrepreneur. I love to tackle new opportunities and create business entities from scratch. Entrepreneurship offers one of the best for getting ahead. Yes, it takes risk. It takes getting out of our comfort zones. But plenty of opportunities await us. Most successful people will tell you that they did not achieve success overnight, more often it is a journey. In this book, Donald Snider shares the experiences and life lessons he has learned while on his journey to becoming successful. As he shares his story, it becomes evident that he works hard not only to maintain, but to continuously surpass the level of success he has achieved. This book serves as a guide to becoming a success not only in business, but in life. His generous personality and exceptional character make Donald Snider a remarkable businessman, but more importantly they make him and extraordinary person. His story is an inspiration to all. Don Snider’s book,”Beyond the Bling” is a must read for anyone who is willing to take charge of his/her financial future. Don narrates his life as an entrepreneur while following closely the life of the Prophet Elijah at the Brook Cherith. His sole dependence on God’s provisional nature is a refreshing view that should lead anyone to a renewed faith in God and the knowledge that he has an assigned place of blessing for us to experience and enjoy. I highly recommend this book! Bishop Alfred D. Knight Jr.
Prelate Michigan Northwestern Harvest Jurisdiction Church of God in Christ, Inc. Managing Member of Emerging Enterprise Group, L.L.C. Good book-great anecdotes for financial literacy. Catchy title that goes to the heart of today’s consumerism. An easy read with real world understanding. I fully endorse. Should be on the coffee table of every American family. 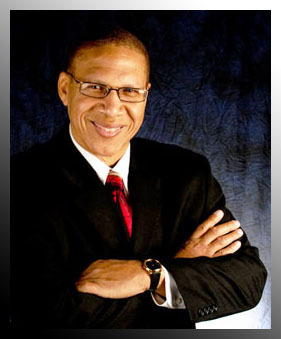 Tony C. Henderson, M.Div., D.Min. Beyond the Bling”, teaches a holistic approach to live in financial peace. Thank you Donald for a breakthrough to Economic Empowerment. Wow !!!! ” Beyond The Bling” is a modern day classic. Don Snider masterfully brought home the fact that true wealth is not about money. This book is a blue print for fiscal responsibility and a wonderful example of financial literacy. Beyond The Bling is the real thing. Donald Snider has extensive experience in public and private administration including positions as President and C.E.O., Chief Operations Officer, Personnel Director, Franchise Restaurant Owner/Supervisor, and Finance Developer. He is currently the president and CEO of Paper-Plas Converting, INC. which converts industrial paper products as a Tier One Automotive Supplier with locations in Detroit, Michigan and Milwaukee, Wisconsin. Mr. Snider also is Founder of Abbeville Treats, Inc. (10-01-2004) a division of Paper-Plas, Inc. Abbeville Treats is a current distributor of chicken and hot dogs to Ford Field and other stadiums. Donald Snider has a strong commitment to community. He is currently developing a Community Bank for the underserved and underserved citizens of the City of Detroit and serves as Chairman of First Spirit Bancorp (01-05-2004). In 2004, he founded a non-profit company, CBA Formula, Inc. which stands for “Conceive-Believe-Achieve”. CBA provides support to money camps and financial literacy programs for teens & adults. It is also involved with economic empowerment speaking events for Faith Based Organizations. Appeared in the November 1999 issue of “Black Enterprise” magazine. Appeared on the cover of the “African American On Wheels” magazine (Fall 99).